This way, you can follow and publicize the (lack of?) progress in the global deal. Their website links to the CO2 bathtub simulation and other educational activities, as well. Enjoy exploring ... and learning. 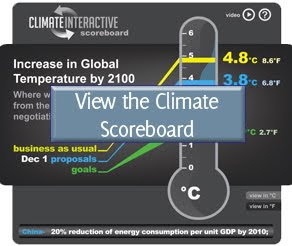 So glad to see the Climate Scoreboard disseminated widely! Let's put it to use for the common good.